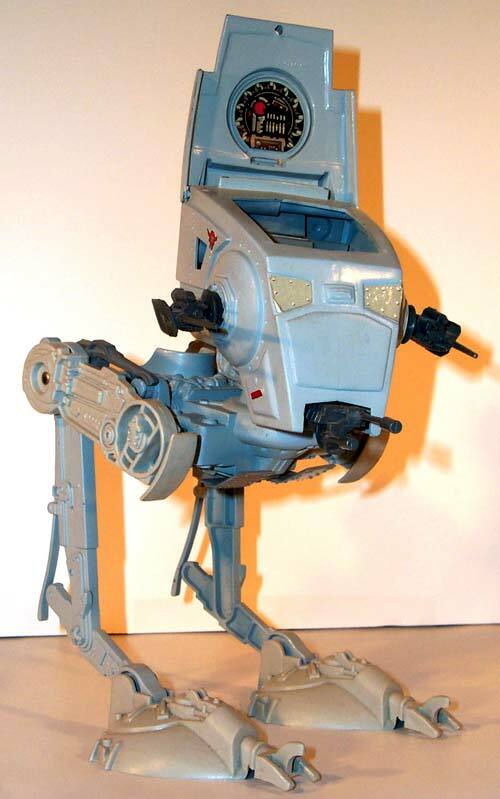 Although it's hard to tell from this photograph that this piece differs significantly from the production Scout Walker toy, take my word for it, it does. It's what's known as a photosample, a fully painted, assembled prototype, made for for use as a sales model or photography sample. Most of these pieces are assembled out of a combination of resin-cast and proto-molded parts, the latter of these requiring an aluminum mold such as the one seen here for their creation. This particular example came straight from a former Kenner photographer, so it's quite likely that it's the very same toy that was pictured on Kenner literature and packaging, such as action figure cardbacks.